India’s democratic journey during the first 16 years of Independence. Published on the occasion of Nehru’s 125th birth anniversary, Madhav Khosla’s ‘Letters for a Nation’ is a vivid portrait of the building of democratic India, and of the man who laid its foundations. In October 1947, two months after he became independent India’s first prime minister, Jawaharlal Nehru wrote the first of his fortnightly letters to the heads of the country’s provincial governments—a tradition that he kept until his last letter in December 1963, only a few months before his death. Carefully selected from among nearly 400 such letters, this collection covers a range of themes and subjects, including citizenship, war and peace, law and order, national planning and development, governance and corruption, and India’s place in the world. The letters also cover momentous world events and the many crises and conflicts the country faced during the first sixteen years after Independence. 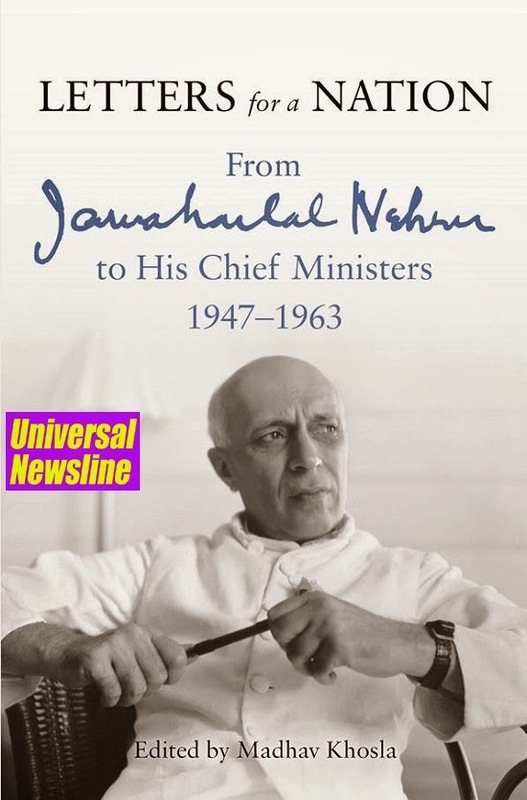 Visionary, wise and reflective, these letters are not just a testimony to Nehru’s statesmanship and his deep engagement with every aspect of India’s democratic journey, but are also of great contemporary relevance for the guidance they provide for our current problems and predicaments. Madhav Khosla, a graduate of Yale University and the National Law School, Bangalore, is currently a PhD scholar at Harvard University, where he studies modern Indian political thought. He is the author of The Indian Constitution (2012). HIMCOM celebrated Diwali with Cheer! "Special Diwali Promotion at Benihana"
Gift a Maxx Mobile this Diwali! Step up to Fusion Fashion this Diwali! "Introspection" Art Exhibition for a cause.